If your new business is an LLC, you may need to follow the LLC publication requirements in your state. Starting a new business can require an extraordinary amount of compliance. Several states still require new LLCs to publish a notice of their formation in newspapers. It is a relatively straightforward process compared to incorporating a business, but failure to comply with the state’s LLC publication requirements can result in setbacks. Avoid unnecessary hassle by taking these steps to ensure that your new business fulfills the state’s LLC publication requirements. Most states don’t have LLC publication requirements, so first check with your state to make sure that you are required to publish a notice when starting your LLC. The current states that still have LLC publication requirements are New York, Arizona, and Nebraska. Read the details of the requirement to make sure that you are prepared to fully comply with the law. In New York, for instance, the county clerk in your area of business will designate the newspapers in which you will publish your notice. Familiarity with the laws will ensure that you are complying with the state’s LLC publication requirements for your new business. Prepare to spend money when fulfilling the LLC publication requirements. Even if you are a minority business, every company has to pay these fees. Publication fees can cost several hundred dollars or more. You may also need to pay a fee to obtain a Certificate of Publication. It can be a hassle, but think of it as another legal fee to do business in the place you have chosen. If you know in advance that you will have to pay money to meet these requirements, it will be less of a shock when the time comes to pay. Your new business is not only following state LLC publication requirements, but also dealing with a publication company. Contact the newspapers you will be publishing the notice in. Ask them what requirements or formats you need to follow to ensure compliance. They may frequently publish notifications for LLCs in your state, so they can be helpful in getting your notice prepared. Ask about templates that will allow you to prepare the notification quickly. Make sure you follow the newspapers rules for publication and follow up if you have any questions or concerns. This will make the publication process itself painless as you proceed towards fulfilling your new LLC’s publication requirements. Once the newspapers have published your notice, double-check the state requirements to make sure you are following the regulations exactly as stated. New York, for instance, requires ads to run for six weeks consecutively. Make sure you have a complete understanding of your state’s requirements. Inquire about any potential difficulties or confusion. If you fail to comply with the exact requirements, you may end up receiving a fine or other penalty. You will still have to comply with the LLC publishing requirements regardless, so any fines or penalties will be an extra expense. Avoid this hassle by following up while fulfilling your company’s LLC publication requirements. 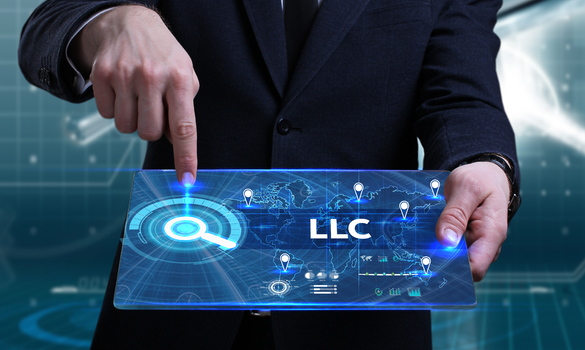 While starting a business always presents legal and managerial hurdles, the LLC publication requirements in your state should be an easy hoop to jump through. Because only a few states have these requirements, however, it is easy to overlook and then cause your business future harm by failing to meet them. Double-check the laws in your state and follow them exactly as laid out. Make sure that you are following newpaper guidelines as well. Follow up throughout the process to make sure that the ads run for the length of time required by law. Submit your final paperwork and keep records. Follow the LLC publication requirements this way to help your business get off the ground without any future legal hassles.